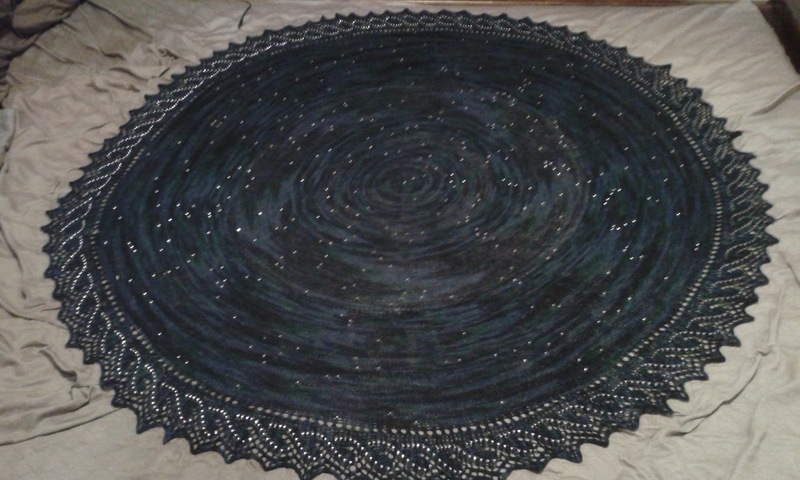 I recently finished the Celestarium shawl. I modified a popular edging that is used and have charted it. There are 2 charts on the PDF so that standard or mirror knitters can follow it. Due to the option of knitting this standard or mirror I did not label the / or \. use SSK or K2TOG as needed to get a matching lean per chart symbol. The edging is a 14 row repeat, but contains 13 beads per row! Make sure you have enough beads to compete this. I used 2 sizes of beads for my shawl and edging. 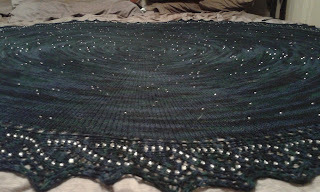 For the shawl I used a triangular bead for the large stars and smaller 6/0 beads for the rest. for the edging I used mostly all 6/0 but used 1 larger one at the points. My finished shawl is very bead heavy! How many beads will you need?